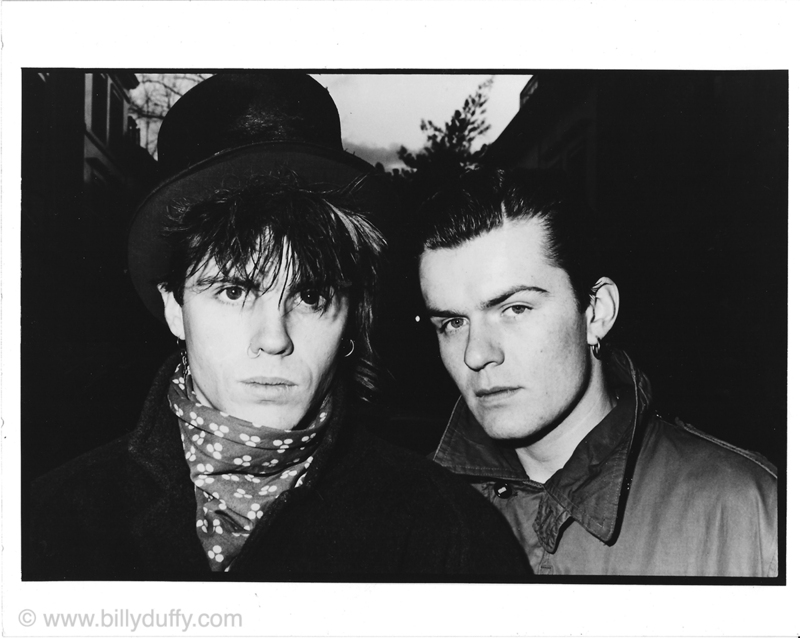 "This was THE first photo shoot we ever did for ‘Death Cult’ and it was just Ian and me. I was working in the basement of Kensington Market at the time and this photo was taken round the corner outside the Vietnamese Embassy. It seemed a good choice because as well as being near to my work the Post ‘Apocalypse Now’ time saw a lot of interest in that conflict typified by The Clash ‘Combat Rock’ album and the “look” they had… wearing “tiger stripe” specialist cammo from the Vietnam war. I also used to work part time in a shop selling military memorabilia including a lot of that stuff so kind of got fascinated by it all... plus it looked so cool... I mean nobody was cooler looking than The Clash and I should know having supported them quite a bit when I was in Theatre of Hate.